Weebly is one of the easiest and popular drag and drop site builder which offers the following versions to build websites. Normal Weebly Platform – Free, Starter, Pro and Ecommerce Business Plan. This article explains the features of the education version and the pricing. 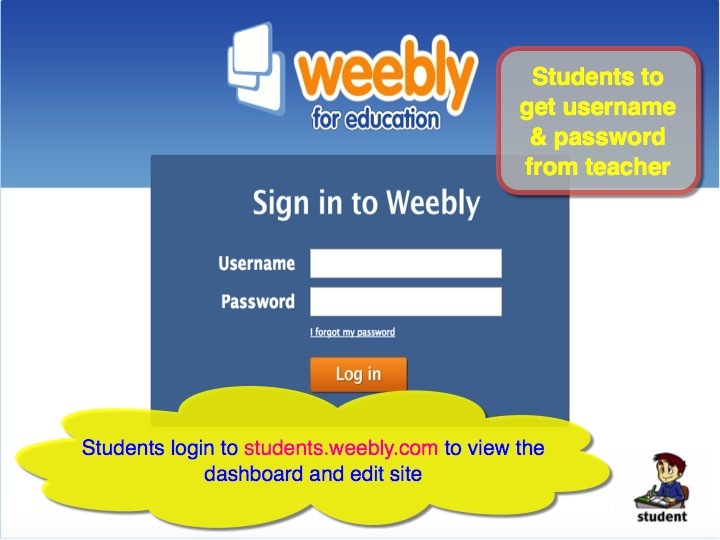 Weebly education platform is an attempt to bring teachers and students more closer online. Both teachers and students will have individual accounts to create a site and perform their tasks. The editor will have similar features like standard drag and drop Weebly editor with limited features for students. All other activities like site creation and publishing are same as weebly.com. Create individual sites – Weebly allows creating up to 10 sites per account (both for free and pro versions) with unlimited pages on each site. Teachers can use these sites to showcase their skills, upload tutorials and upload assignments using “Assignment Form” element. Setup a classroom – here teacher creates a classroom setup by creating students account and viewing student’s site. Teacher can also disable editing on any student’s site. Free education account allows to create up to 40 students with further upgrade option of adding each student account for one USD. Students site can be configured as private so that it will be password protected. Teacher needs to provide this site password to student and change the password any point of time. 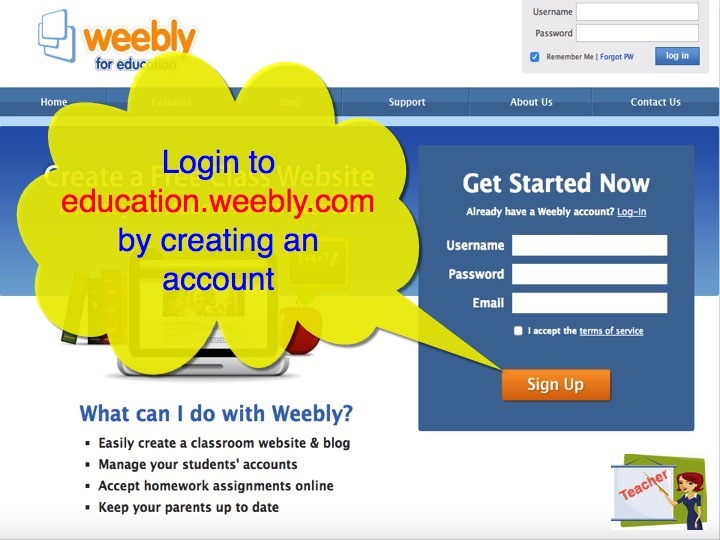 Students login to Weebly students site with the user name and password obtained from the teacher. Very limited features are available in a student site. For example, each student is allowed to create only one site with five pages limit. If teacher’s account is upgraded to pro then students are allowed to create 10 sites with unlimited pages along with all Weebly pro features applicable for education version. Students can download the assignment from teacher’s site and upload it again. If the assignment is to create some project then student can update his / her own site with the project details so that teacher can view it online. Number of students – if a teacher wants to add more than 40 students then each student account will cost $1 with the multiples of 10. This means even you want 1 student more than 40 you need to pay $10. Both teacher and students account will be upgraded. Students will be allowed to create 10 sites per account with unlimited pages. File upload limit of 250MB. HD video player and audio player elements. Weebly education version is en integrated platform for teachers to create and maintain student’s site, create individual site with assignments from where students can download it. Students can separately students can login to their websites and showcase their work to teachers. Free plan offer restriction of 40 students limit and a single site per student with the options to upgrade. Watch the demo to understand how teachers can setup a class room and manage student’s websites. There is no easy way to switch the account types. Probably you need to copy the content and create again. Or check with Weebly support whether they can do this for you. If I go with Weebly Pro for education, how many student accounts am I limited to? We do not see any additional student accounts for Pro, it will the same 40 as free account with limited pro features.